Hollybeary Creations : YNS Feature Week! Hi everyone.. I hope your week is starting off good. It's time for our Feature week at Your Next Stamp and this month we are celebrating "Summer Fun". The Design Team has created some amazing projects to showcase "Summer" using YNS products. 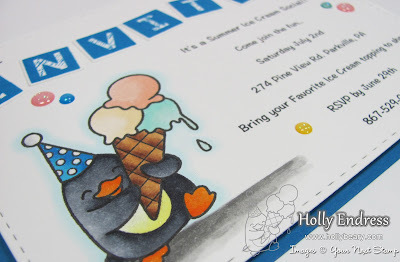 I created some invitations to a Summer Ice Cream party using the Waddles- Happy Brrr-thday set. 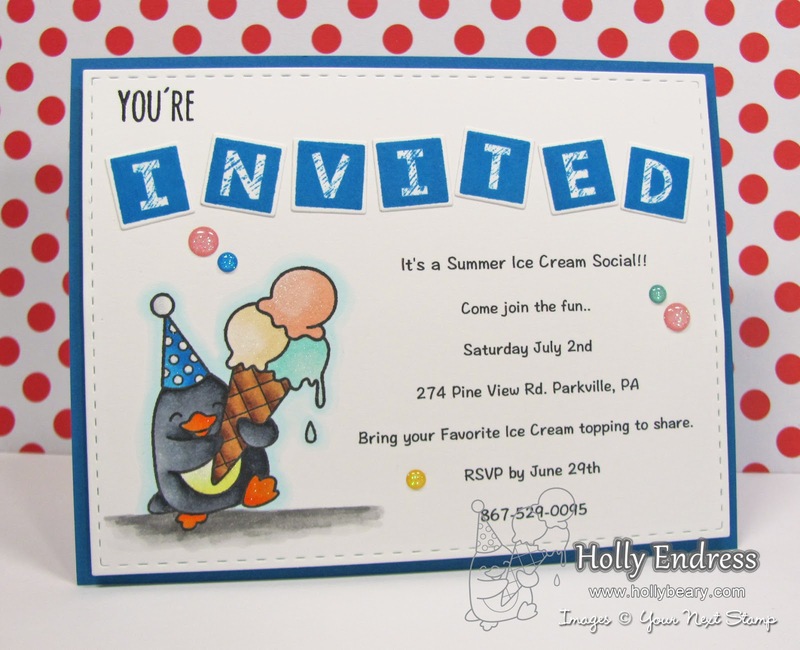 I created the invite on my computer and printed them out then I die cut them using the Stitched Rectangle Dies. I was able to get 4 invites from a 8 1/2 x 11 sheet of cardstock. Then I stamped the waddles image in the left corner and colored them in with my Copics. 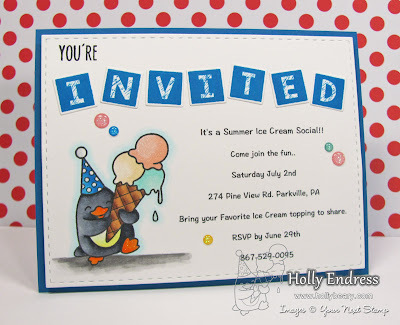 I stamped the word Invited using the Alpha Squares and coordinating Dies. Then I glued them in place and stamped "You're" from the Cool tag Banner Sentiments stamp set. 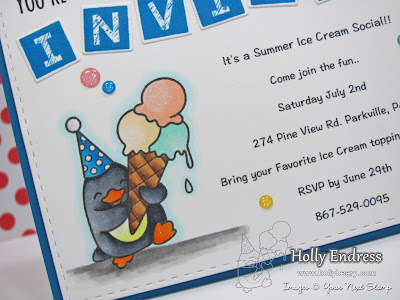 I glued the invite to a piece of Blue cardstock cut to 4 1/2 x 5 1/2 to create postcards. Then I added some Gumdrops from the Magical Pastels & Cosmic Crush Sparkling sets. These are so cute and came out great! With all the different Waddles you could change this up for any occasion. Head over to the YNS Blog for more "Summer Fun" projects and be sure to join us all week for a new projects each day!